Following an auto accident, juggling your responsibilities without your car can be a huge hassle. But a highway accident that results in property damage and/or personal injury can be much more than just an inconvenience. It can mean wading through mountains of paperwork, medical trauma, and financial strain. If the accident is the result of another motorist’s impaired driving, matters may become even more complicated. In this situation, having an experienced personal injury attorney on your side can be a huge benefit. What Exactly is Impaired Driving? The Florida Department of Transportation (FDOT) defines impaired driving as driving under the influence of alcohol or drugs. 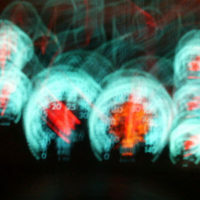 The law does not differentiate between legal and illegal substances; if the drug led to impairment, the driver can be cited, even if the driver holds a legal prescription for a particular medication. The truth is, the impacts of an accident are no less severe when the impairment is the result a prescribed controlled substance, and drivers must be held accountable if they choose to get behind the wheel while unable to safely operate that vehicle. What Happens Following an Accident with an Impaired Driver? When law enforcement personnel suspect an accident occurred due to impairment, field testing will ensue. Depending on the results of these initial tests, a driver may be asked to submit to a Breathalyzer and/or blood test. While a driver may refuse such testing, that refusal may then be admitted as evidence against the motorist, ultimately resulting in a first-degree misdemeanor. This is because Florida has an implied consent rule for blood and urine testing in these circumstances. And when the incident results in serious injuries or death, law officers are required to compel drivers to submit to such tests. In the event testing reveals drug or alcohol usage, the driver will be charged in accordance with Florida statute 316.193. The consequences may include fines, incarceration, parole, ignition lock devices, loss of license, vehicle impound, and/or community service. Future earnings calculations when serious injuries or death are incurred. If you have been involved in an auto accident that was the result of impaired driving, contact the adept Daytona and Ormond Beach accident attorneys at the Law Offices of Robert W. Elton. Our aggressive team will work to get you the best settlement possible after an accident. Contact us today for your free, personalized consultation.